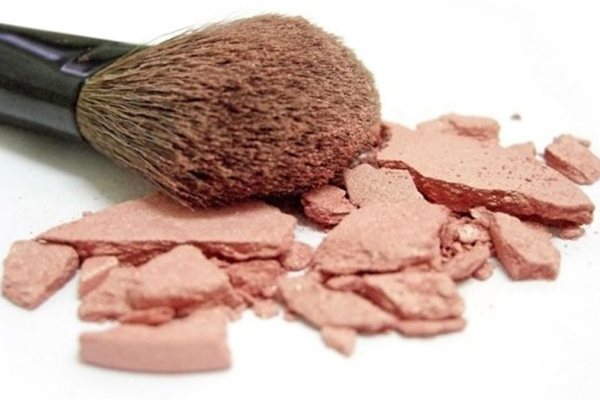 So you’re always up-to-date with the new makeup products beings launched in the market, you’ve got that celebrity off-duty look every day, but do you know what it’s costing your skin to look that good? You’ve probably already heard of these. Parabens are a group of preservatives used in a number of cosmetics – think makeup, lotions, hair gels and fragrances. They are known to mimic estrogen in the body, which means they may be a hormone disrupter. Even more ominously, parabens were detected in cancerous breast tissue, raising a red flag around the world. Studies have suggested that Phthalates (a group of chemicals often found in cosmetics) could disrupt hormone functions and damage the reproductive system. Responding to the potential dangers, several cosmetic companies now produce phthalate-free products. Phenylenediamine is a component in hair dyes, usually identifiable by a 5-digit Colour Index (C.I.) number. It’s a kind of coal tar dye derived from petroleum, recognised as a human carcinogen – which means it has the potential to cause cancer. Sodium Lauryl Sulfate (SLS) and Sodium Laureth Sulfate (SLES) are widely used in shampoos and cleansers as a detergent and to impart the effervescent properties. SLES could be contaminated with dioxane, a cancer-causing compound. While this compound can be removed from the sulfates during manufacturing, the process would not be known to consumers. Oxybenzone, a component in many sunscreens, has been observed to cause an increase in the production of harmful free radicals and is believed to cause cellular level changes. According to a study published by EWG, Oxybenzone absorbs through the skin in significant amounts and is a moderate – high hazard. Similar to sulfates, PEGs could contain dioxides, which can cause cancer, in addition to ethylene oxide – a known human carcinogen. PEGs are used in moisturisers, conditioners and the like as thickeners and moisture carriers. These ingredients are commonly used in personal care products, to prevent microbes from growing in water-based products. They’re commonly found in nailpolish, hair-smoothing products, shampoos, body soap, body wash, etc. and have been linked to cancer and allergic reactions. There are, of course, a lot more than 7 ingredients you should watch out for, but the list could be endless. While it may not be possible to completely zap harmful ingredients from your products, aim to keep an eye out for these on labels and increase your awareness!